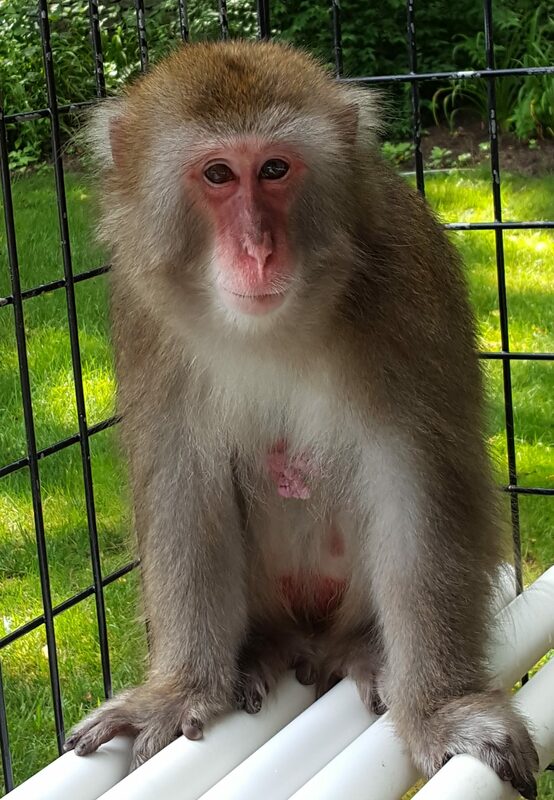 Meet Hope, one of two Japanese snow macaques here at the PRC. This sweet girl was a pet for 14 years until her former owner decided that she would be happier surrounded by other monkeys. When she arrived at the PRC, Hope quickly acclimated to living in a sanctuary setting. As Hope observed the new world around her, she slowly began learning how to be a monkey. This sweet girl is still overcoming her pet mentality and is actively discovering how to interact with other monkeys. Hope is easily recognized by her pink face and short tail. Her fluffy grey hair keeps her warm during the winter months. Hope’s eyes look different than usual due to a glaucoma in one and slight blindness in the other. This makes life a little more difficult for her, but she is just as active as any other monkey–climbing and exploring her environment to the fullest! Here at the sanctuary, the primates take lots of naps in between meals, enjoying their relaxing life in our Kentucky valley. Hope values her blankets when it comes to nap time. She often lays down on her belly and pulls a blanket completely over her body until just her head pokes out. When its warm and sunny she sleeps on a comfy mat in her enclosure. When its colder, she curls up in her barrel that she fills with blankets. Hope, nicknamed “Hopey” by some staff members, gets really excited for breakfast which is her biggest meal of the day. She struts around, chirping and squealing in anticipating of her favorite foods. Strawberries and corn on the cob are often picked out of her baskets before everything else! Hope’s beautiful pink face and sweet eyes are enough to make anyone fall in love with her instantly. 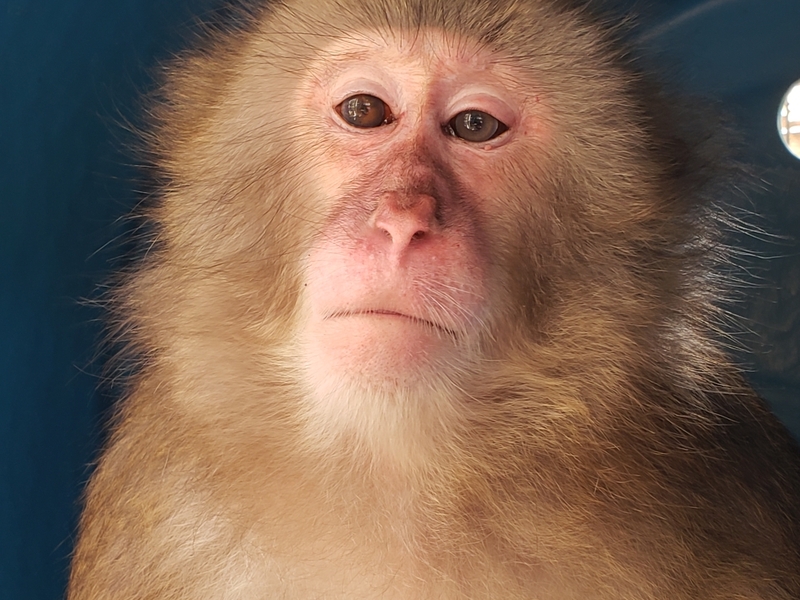 Hope’s life of sanctuary at the Primate Rescue Center is something you can help us provide. You can become Hope’s Primate Pal to give her with a year’s worth of sanctuary care. You will get to know Hope through frequent updates and you will receive an invitation to our Annual Member Event. We couldn’t give primates like Hope a second chance at a happy life without your support. It is through the kindness and generosity of passionate donors that we are able to provide rescued primates with the lives they deserve. You can support our cause anytime by making a secure online donation.